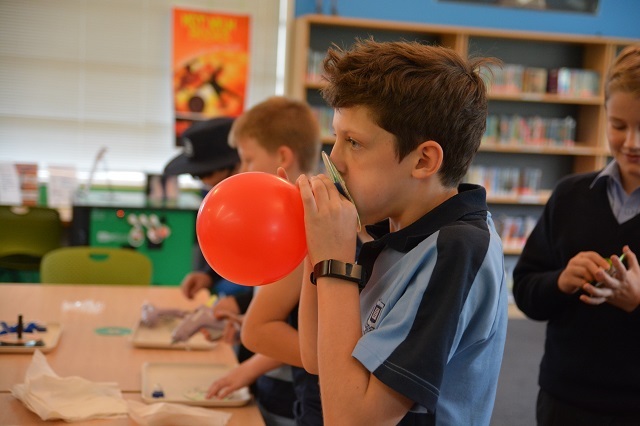 The Library staff joined forces with the Science Department to celebrate Science Week last week. 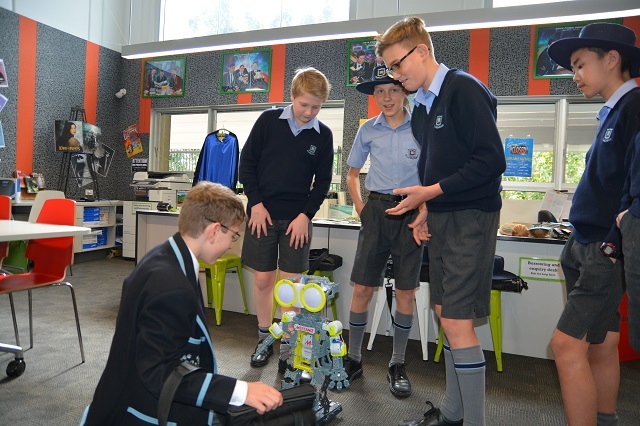 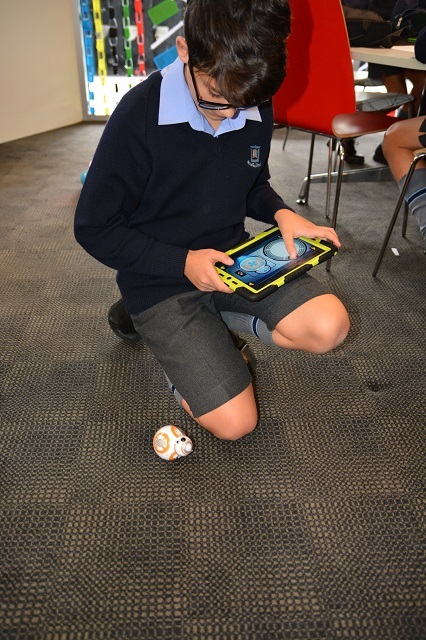 In a very busy schedule, boys and staff took time out to play with and reflect on the use of Technology in STEM, in particular autonomous technology with the theme being Drones, Droids and Robots. 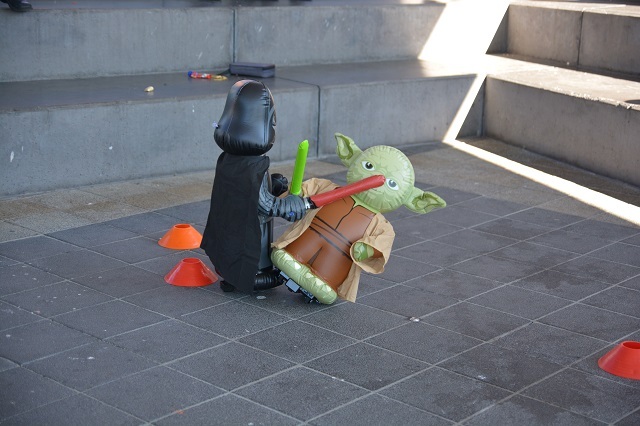 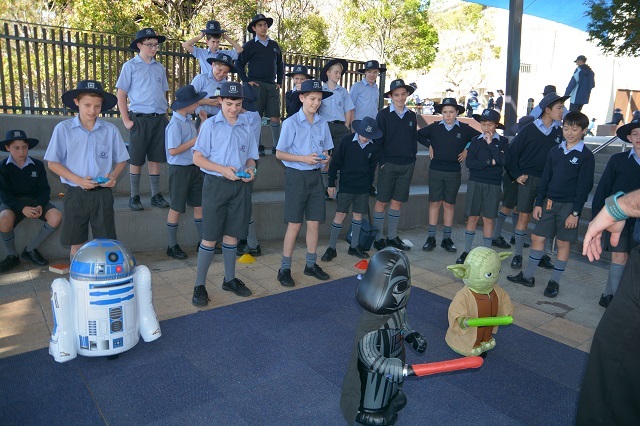 Middle School boys were the main target audience and droid races between Darth Vader, R2D2 and Yoda took centre stage one lunchtime. 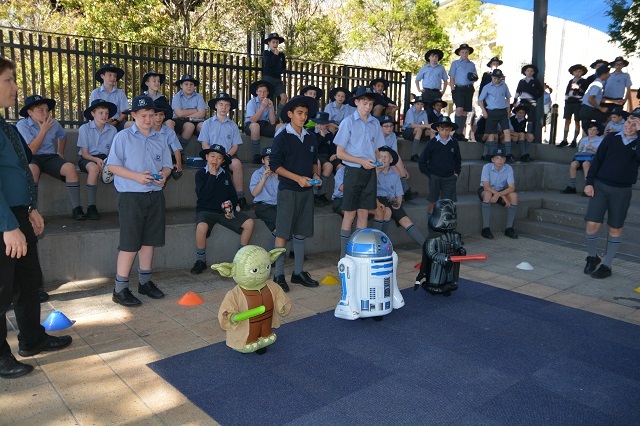 It was fantastic to see the excitement on the faces of the boys as they tried to race their droid to the finish line first. 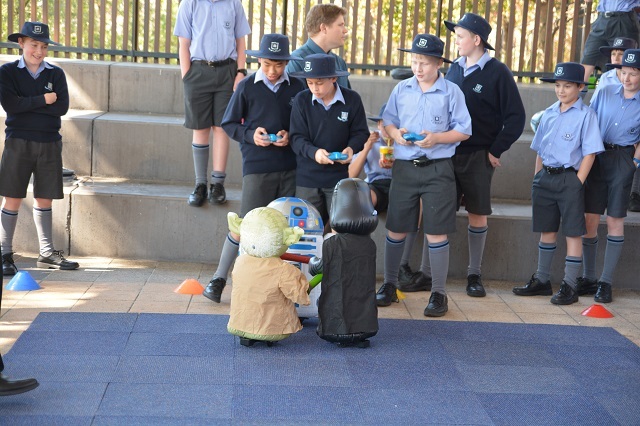 Much hilarity ensued as droids went off track and intercepted each other. 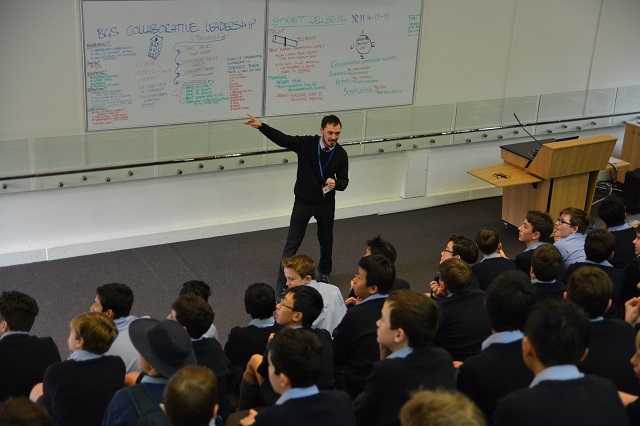 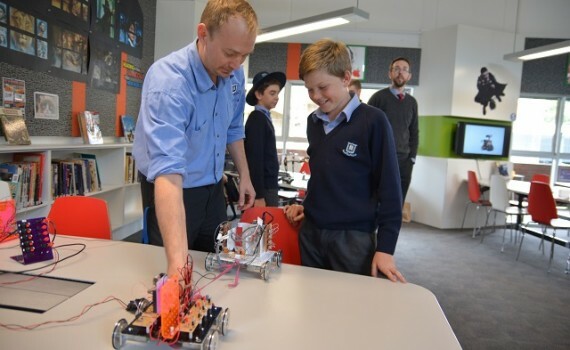 One of our Science teachers, Mr Scott Jones, led two sessions; one for Middle School boys and one for Senior School boys. 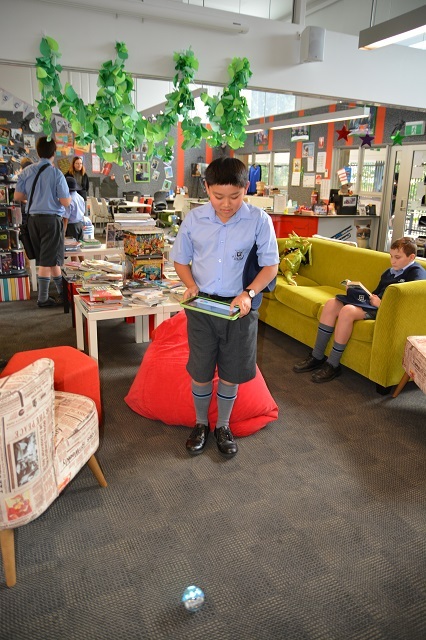 The topic was Top 1-0 Countdown: Superpowers you Could Acquire in your Lifetime. 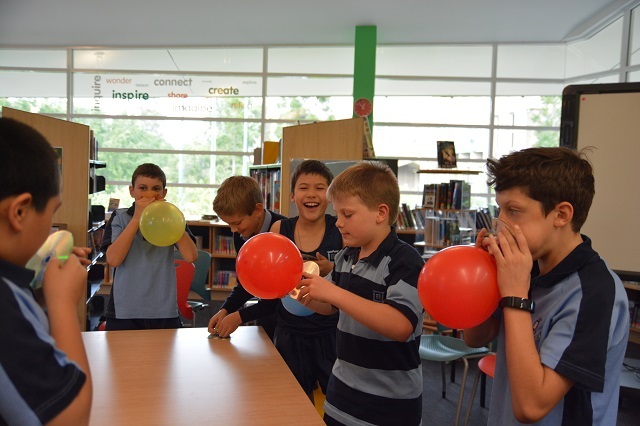 There was also a trivia quiz for boys in Years 7 and 8 with prizes awarded to the top team. 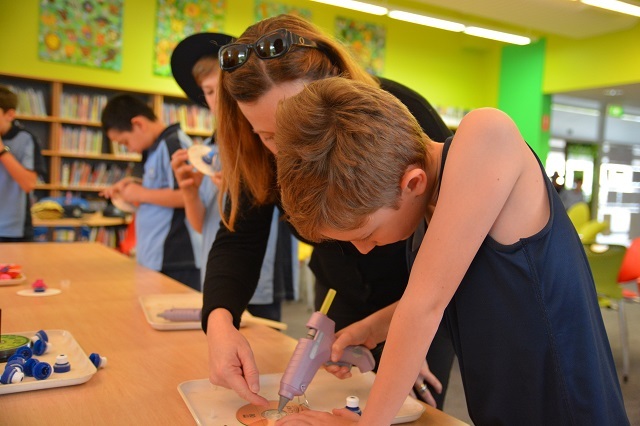 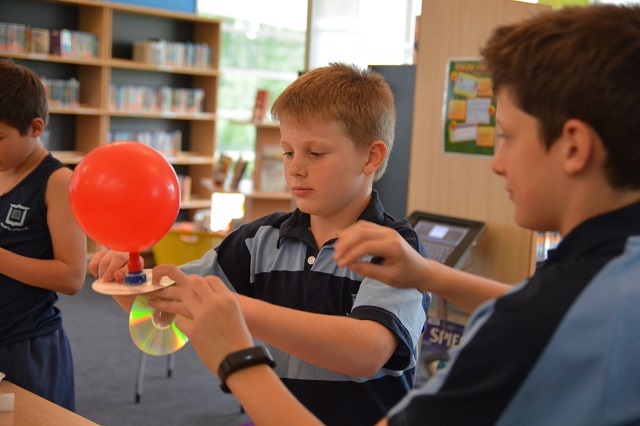 Boys in years 5 and 6 took part in a Science in Action event where they built their own hover board CDs using balloons, glue, bottle tops and CDs. 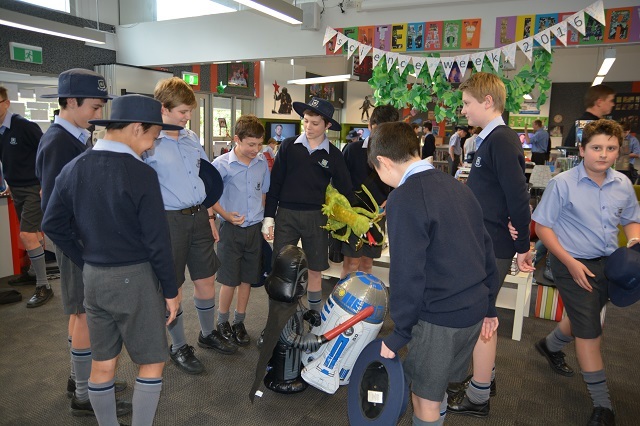 An undoubted highlight was the Robotics Expo in Centenary Library. 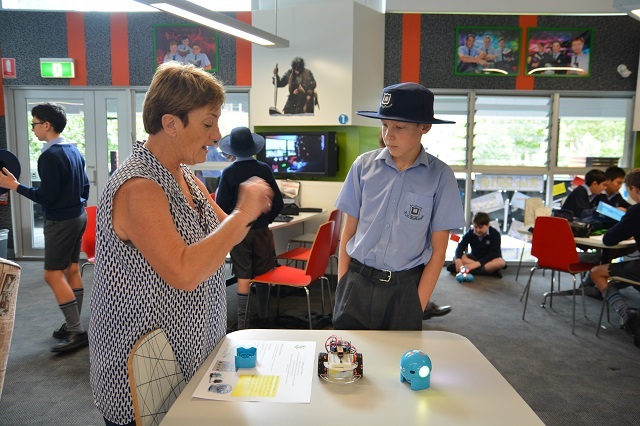 This showcased the exceptional work that some of our students are doing in this field. 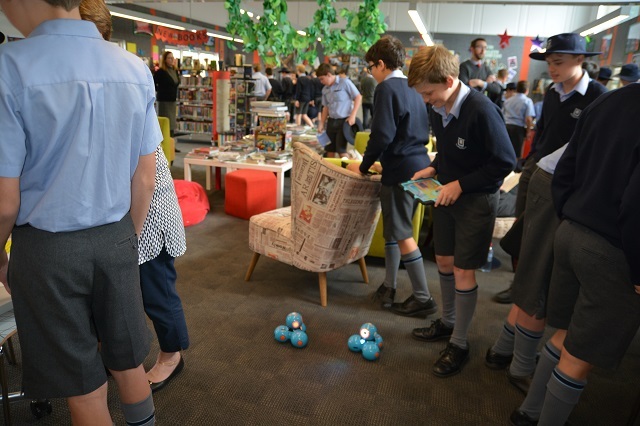 There was even a drone which people could attempt to make fly.This joint partnership between the Science Department and the BGS Libraries is valued by both sides and we look forward to continuing its development in the future.